Helping learning challenged kids achieve success! With both heart and mind. This is a topic that is particularly close to my heart (no pun intended!). 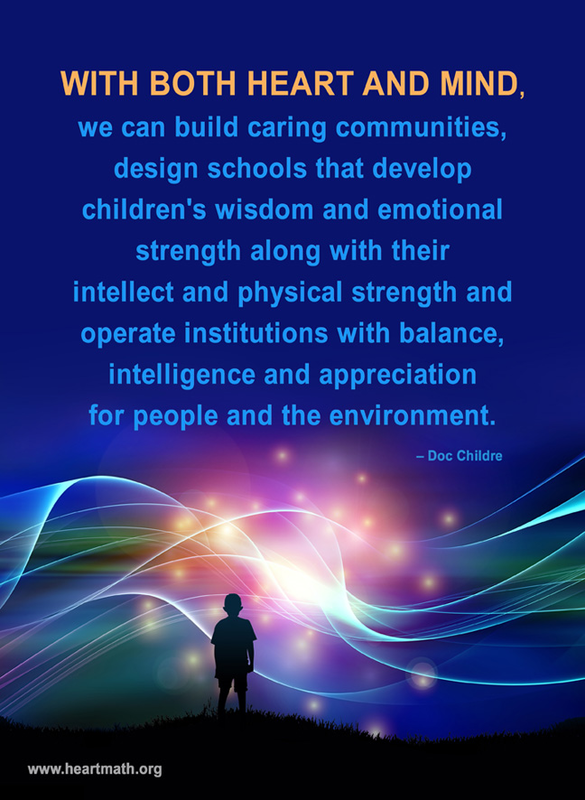 It’s very well put; we need to support and create communities of all sorts (and specially schools) where the whole person gets honored, nurtured, supported and stimulated. We have for a long time now put a lot of emphasis on the left side of our brain; reasoning, detail oriented, language, numbers and it’s gotten us to the point where we have a hard time with our right hemisphere; big picture, color, music, fluidity etc. etc. We value language and math over most everything else, and we force children and adults to learn these skills in a way that doesn’t work for everyone. If we can bring back ‘the heart’ and teach from heart-centered- learning (applied to learning all skills) learning is natural, intuitive, inspiring and empowering. That is what I envision for our schools, our communities and the world at large! Thanks to the Heart Math Institute – you folks are awesome!! !